Hospice du Rhone: The Final Day…Until Next Year! 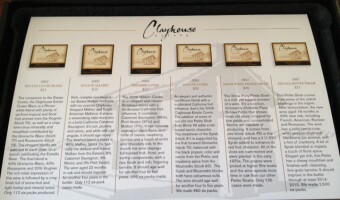 Clayhouse Wines has Gone all TastingRoom.com on Us! Epoch or Epic, or Both??? Stolpman Vineyards Tasting Room Brings It! The Winery Called Tre Anelli – What Does it Mean?? ?